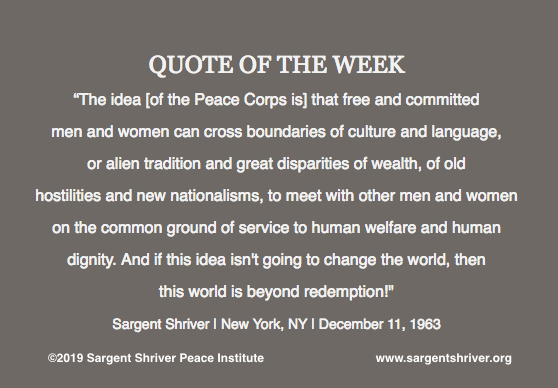 We started the blog to share stories about Sargent Shriver's work, our work, and updates from our community. 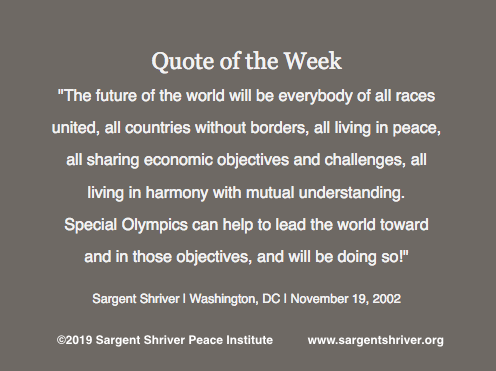 As our society continues to struggle with some of the same issues that Sargent Shriver focused on -- poverty, racism, inequality, war -- we believe it's important to share our stories with each other. 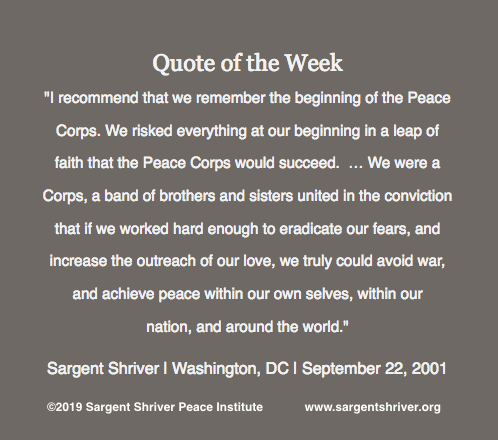 Do you have a story to share about Sarge? Has his work influenced you? 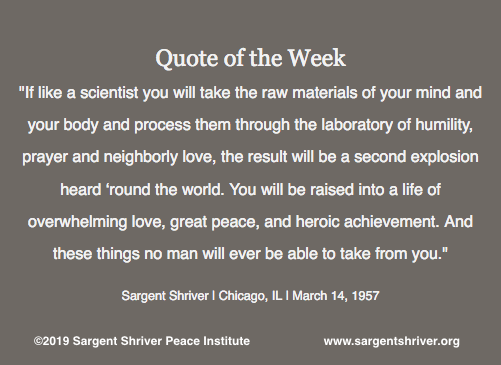 Share your story with us by emailing it to info@sargentshriver.org. Maybe we'll post it here! How Can We Live Together in Peace? 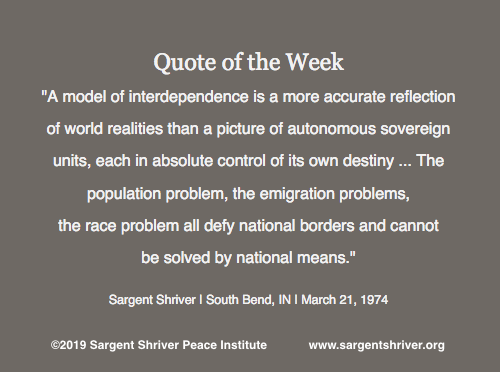 On Sarge's 100th Birthday, He Calls On Us to "Break Our Mirrors"